Where did you get it from? Harv`s? Cycle Stop? I bought it from Arkport cycles. Had it out Saturday, very happy with ride and handling, power is good also. Bags hold way more than my Limited. The clam shell opening of the bags are wide enough for half helmet. Nice bike. I will say I'm completely satisfied with my 18 Lowrider. The sport Glide probably would not have been in my budget anyway. Still love the way it looks though! Among the new softails Low Rider has second best lean angle, with mid controls and taller seat - its actually sportier than Sport Glide. Also chromed out look, dual analog speedo+tach and that eyebrow visor - man, your bike looks great! years will pass and 2018 FXLR will look like a through-back to 70-s.
Definitely a beautiful bike. I haven't ridden one but I have sat on a couple. Everything fits me to a T. I bought the Slim because I like the looks and because I am getting old and don't have the strength in my legs that I used to the low seat​ is nice. I was all but through with the MoCo, but the Sport Glide drew me back in, bought mine this morning. Now if it would warm up and the salt would get washed off the road i'd be ready to do some riding. That's just a gorgeous motorcycle. Love the new sport look and great pipes! I'm with you brother, I have owned 3 Streetglides and a few Ultra Classics. I bought the Sport Glide and I am enjoying the hell out of it also. I did the air cleaner, slip on and tuner and thats it. Great bike and a great ride. Plenty of power. I'll probably be doing the same thing soon! I'm really only after improved sound, since I'm happy with the stock performance, but if I'm changing exhaust, I prefer to do air cleaner and tuner with it. I saw my first Sport Glide in the flesh yesterday. I liked the quick detach fairing, but it definitely needs a taller screen. 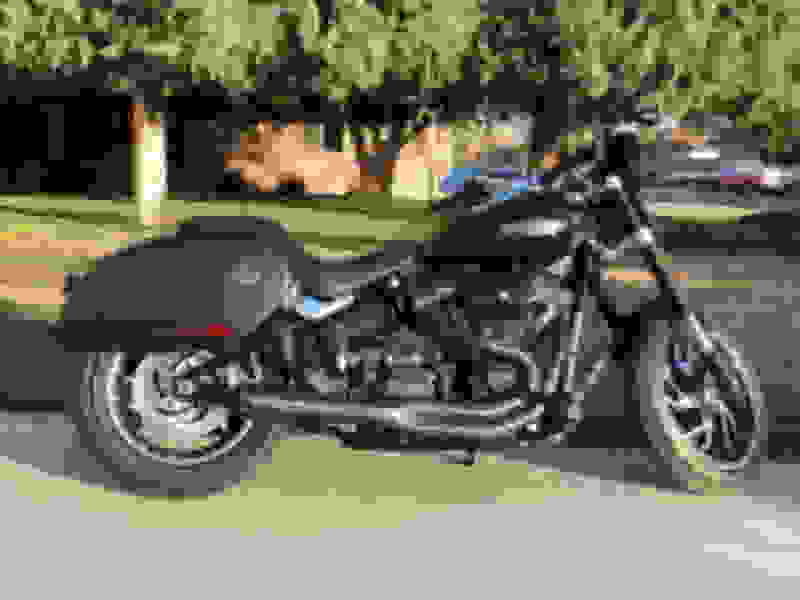 As the Sport Glide uses the same inverted front end as my 2018 Fat Bob, it wouldn't take much for HD to make a version for the Fatty. I'd buy one! I didn't like the bags though - they looked very plasticky to me.